With the use of the industrial manufacturing process, sheet metal is formed by working metal into flat and thin pieces. Sheet metal is one of the very convenient ways that is used in metal working and it can be mended and cut into various shapes and dimensions. A wide range of products are manufactured with the use of sheet metal making it an essential part of the modern world. Sheet metal varies in thickness. Its thickness is quantified by a measure known as its gauge. The metal will be thin if the gauge number is larger. You can find sheet metal in the form of foil as well. The form in which sheet metal is found in the market is either in coiled strips or in flat pieces. The coils are made with continuous running of sheet metal into a roll slitter. Usually, the coils used range from 7 to 20 gauges. Sheet metal is used in various products like machinery, building roofs, car bodies, airplanes and much more. The common materials used in manufacturing sheet metal are aluminum and stainless steel. The most known grades available in stainless steel are 304, 316 and 410. 304 is one of the most common grades. However, it is not available in the form of a sheet. The other two grades are much resistant and powerful than 304. When it comes to aluminum, it has got four known grades which are 1100-H14, 3003-H14, 5052-H32 and 6061-T6. Every grade is stronger than the other and used in different machinery, weapons and equipment. This is a commonly used manufacturing process that helps in manufacturing the parts for tons of known and unknown purposes. Sheet metal forming process is done on a press and the parts are formed in between two die. The die at the top is called a punch. Sheet metal is formed cold. This step includes bending sheet metal for creating the metal components. Small lengths metals are bent with the help of the dies during the process. Press brakes are used to press the longer lengths of metal. Repeated bending is also used for complex shapes. This is also done through sets of rollers. A series of bending operations are done on the sheet metal for roll forming. 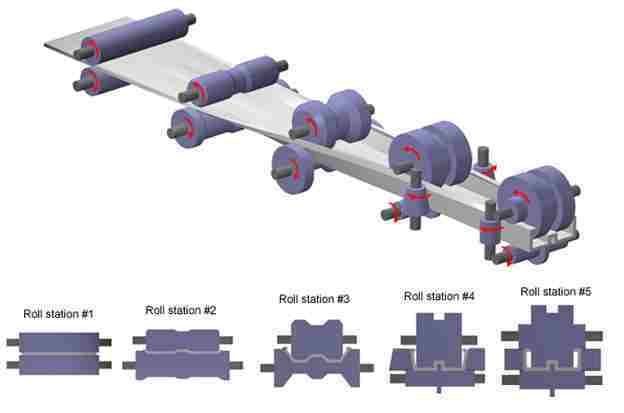 A roll forming lines is present on which the sheet metal is fed by a series of roll stations. Each station is a roller die present on both sides of the sheet. These rollers can be at different angles of the sheet. When the sheet is forced through the roller dies, the sheet bends and deforms. The sheet metal is revolved at high speed and is pressed against a prior attached headstock spindle. 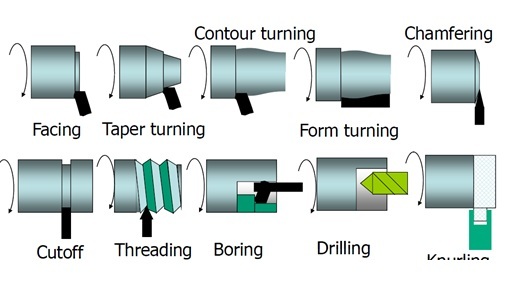 A tailstock supports the metal while it is spinning. With a special tool, pressure is applied to the metal to get the required shape of the metal. In this stage, the metal is not clamped but is put in the die. The first stage of deep drawing is called cupping. A pressure pad holds the blank on the die while the punch moves below and takes the blank into the cavity. 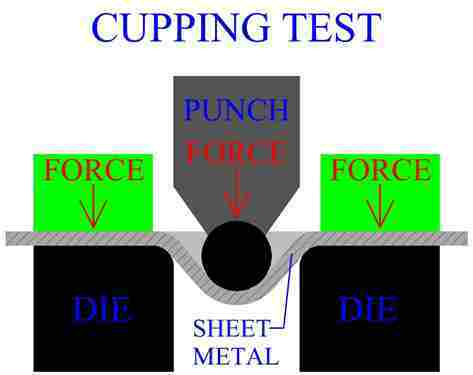 The metal is bent plastically and drawn over the edge till the cup is formed. The pressure pad removes all the wrinkles meanwhile. A lot of deeper products can be formed with repeated deep drawing. In the operation, the sheet metal is clamped round the circumference with a blank holder and changes shape according to its thickness. 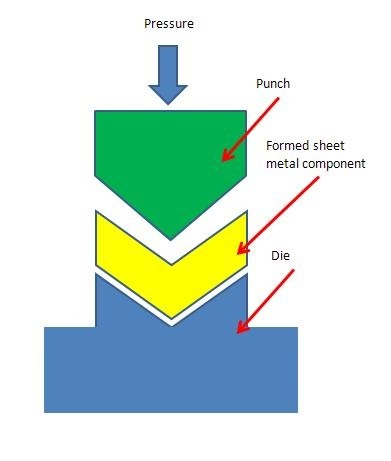 The holder draws the metal into the cavity present in the die. When the metal is stretched it becomes thinner.